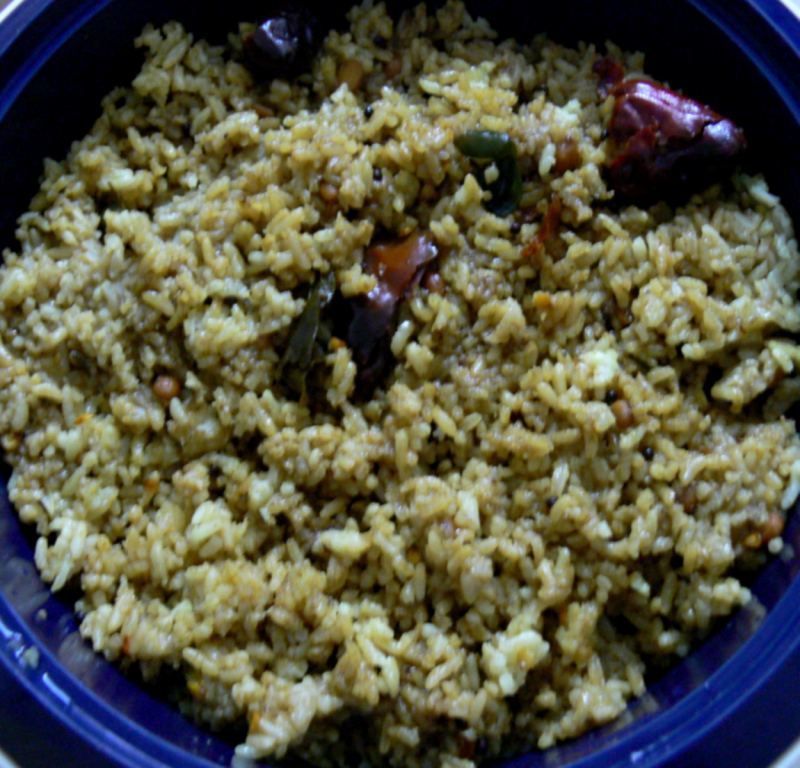 1.Wash the basmati rice well and pressure-cook with 2 cups water upto 1 whistle.leave this aside. 2.Heat the refined oil in a kadai.Fry mustard seeds,red chillies,uraddal,chopped onions, split gramdal,fenugreek powder and curry leaves for 3 mins. 3.Add the tamarind pulps,turmeric powder,asafoetida powder,and the salt.Mix this well. 4.Allow this to boil for 15-20 mins.When oil begins to separate,turn off the flame within a min. 5.Put the cooked basmati rice and roasted peanuts over it and mix well till it is evenly spread.Check for salt and garnish with roasted cashewnuts,fried onion rings and coriander leaves. 6.Serve this Tamarind rice with boiled egg,potato masala,thick coconut chutney,coriander thokku and Chicken Fry. Hello Opt Sir , Why are you stopping us from giving a third Vote ? How come only O nd 1 votes are Functioning ? I dont think we need a voting system when you guys decide what is best . By the way Lavanya and Mr. Shah my third vote goes to you guys .